I’ve always loved the elegance in a black and gold color combination and adding a touch of glitter to the gold is just the icing on the cake. 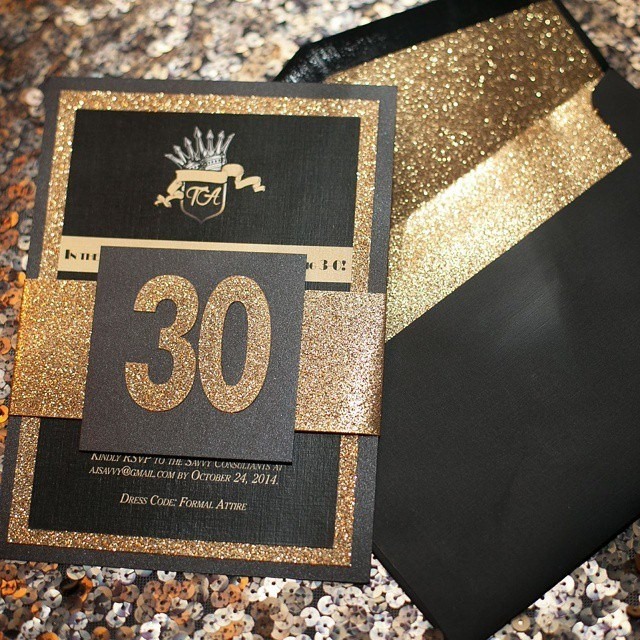 This tri-layered 30th birthday invitation featured a custom designed crest logo for the birthday boy, a gold glitter belly band with a laser cut “30” number and black envelopes with a gold glitter envelope liner. In this case, all that glitters really is gold!